How to apply filters to the calendar to see specifically what you need. You'll find range of Filters, which when applied will only surface those specific visits within the freshOps Calendar. The Employees Filter surfaces an Employee's Visits or multiple Employee's Visits within the Calendar. The Supervisors Filter surfaces a Supervisor's Visits or Multiple Supervisor's Visits within the Calendar. 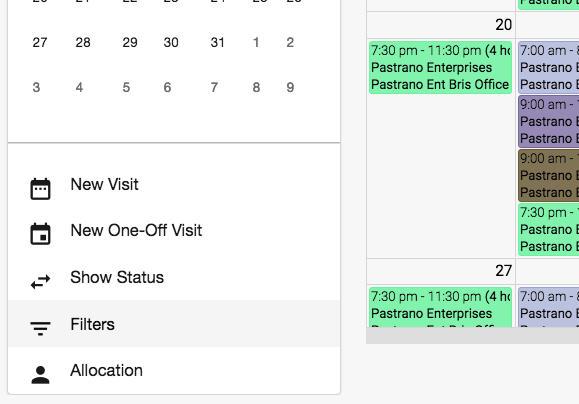 You can view the Supervisor's Employees also by ticking the Show Supervisor's Employees option on and off.